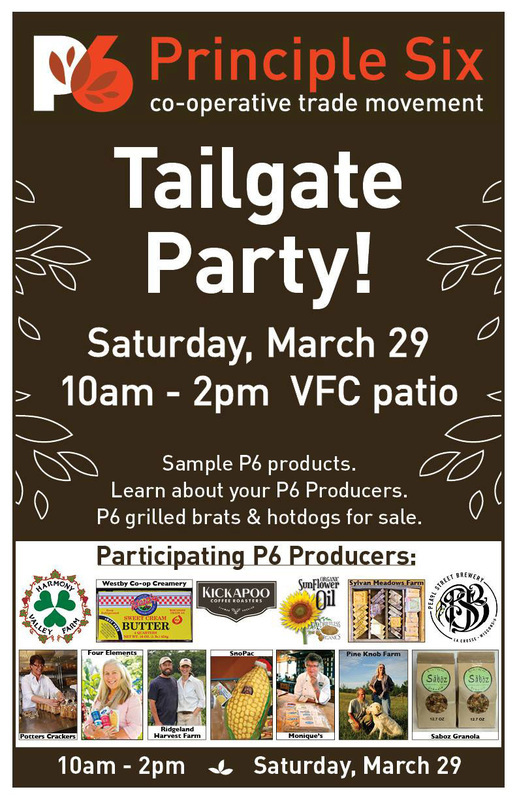 The Viroqua Food Co-op was created over twenty years ago as a natural foods buying club by a group of local families. The first VFC 700-square-foot store opened in 1995 in a space in downtown Viroqua. In 2005, to accommodate an expanding market, a 4,400 square foot space retail space (a little over 7000 square feet in total) was constructed near the original site, incorporating a number of green building features. VFC now employs over 60 people, its membership has grown to over 3,300, and the store has achieved annual sales of $6.9 million. 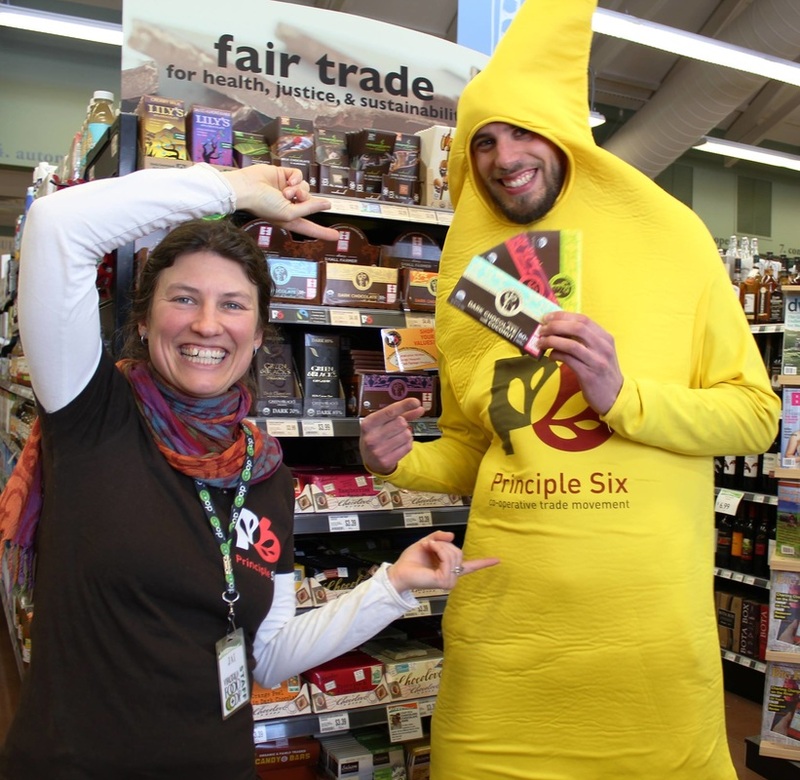 In November 2012, VFC joined the P6 Cooperative Trade Movement, a network of retail and producer food cooperatives around the country working together to support a just and healthy food system. Bjorn Bergman, the co-op’s outreach coordinator, says that although it had been supplied by, and had been supporting, local and cooperative producers for many years, VFC had not been particularly good at telling that story in compelling ways. “P6 was a great way to put a spotlight on that work and to start keeping hard data on how we are doing in terms of that support every single year,” he reports. “We have P6 graphics pretty dominantly displayed in almost every department of our store. It has helped us connect with our shoppers and our owners about how we are living our mission day in and day out." On any given day VFC customers will find five P6 posters that tell the story of a small, local, and/or cooperative producer over the dairy cooler (to be rated P6 a producer must meet two of those three criteria), seven or so over the cheese case and refrigerated case, and two or three over the meat case and the produce department. Shelf-level signs throughout the store tell the story as well. “It is pretty powerful,” says Bjorn. The coop’s 2013-2014 Annual Report states that over the course of the fiscal year, 36 percent of sales were of P6 products, accounting for about $2.33 million in sales. Since joining the P6 Cooperative Trade Movement, VFC has made more deliberate decisions about how it sources its products. At the same time, some of the transition has happened naturally as the P6 branding helps call out local or cooperatively produced goods. “A lot of times when we have a non-P6 product on the shelf alongside a P6 product the customers will make the decision to buy the P6 product and the other will fade away,” Bjorn says. “About 96 percent of our produce is certified organic—much of it is from far away, especially the fruit.” When we spoke to Bjorn in early July, at the beginning of local produce season, 36 percent of sales in the produce department were P6 products. “This percentage will increase as we get more and more local products in our store,” Bjorn reports. Typically the P6 product is priced a bit higher than its non-P6 counterpart, since small-scale producers find it difficult to achieve that economies of scale that allow them to be priced competitively with larger scale producers. “But I feel like a lot of times our owners and customers connect with the value of P6 and support local, coop, and small producers. They buy things that match their values,” Bjorn observes. 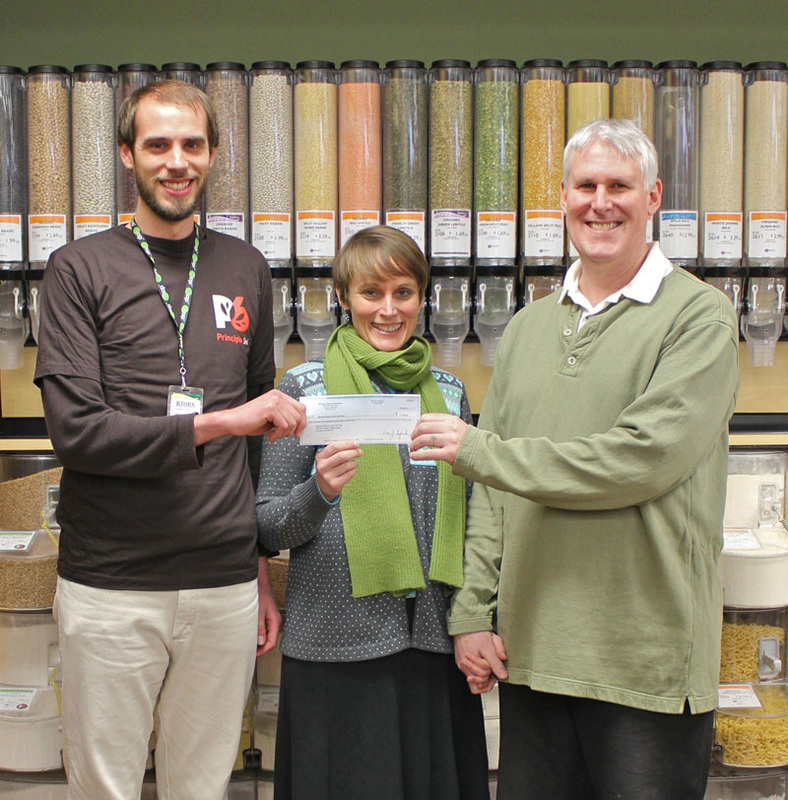 "It's clear that Viroqua Food Co-op customers care about where their dollar goes." VFC make every effort to increase P6 products as a percent of total sales. Demographically most of the inhabitants of Vernon County where Viroqua is located are of Western European descent, with Norwegians dominating the mix. They emigrated to the area generations back, attracted to the familiar landscape, and took up farming. Three years ago VFC’s board of directors decided to take an even more activating role to support small farmers and producers in the area. They funded a microlending program http://www.viroquafood.coop/you-own-it/microlending-initiative, seeded initially with $3000 out of VFC’s bottom line. As of July 2015, VFC had given out 5 loans for a total of $9,379. Plans are to create a not-for-profit unit of VFC that can accept donations for the fund from VFC’s members and customers. The aim is to give a local farmer or producer that supplies to VFC a zero percent loan for up to a year up to fund the purchase of equipment and/or to increase efficiency. Core to the P6 Trade Movement is nurturing a knowledge-sharing network, and VFC is an active participant. It has consulted to other co-ops interested in starting up a microlending program. Other co-ops have borrowed VFC’s template for shelf level P6 branding signs. Toril & Drew Fisher of Second Cloud on the Left Farm receiving their micro-loan check from Bjorn Bergman (left). VFC’s continues to make every effort to increase P6 as a percent of total sales. Along with other P6 Cooperative Trade Movement members they view it as a marker for their impact on the hoped-for creation of a more just and sustainable food system.